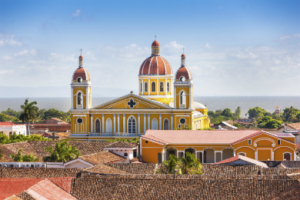 ETS Risk Management has excellent past performance and working experience of providing Executive Protection and Secure Ground Transportation Services in Nicaragua. ETS are able to provide clients with executive protection and secure ground transportation services within Nicaragua. Crime remains a concern for overseas travelers. Current reporting indicates a significant rise in thefts, break-ins, and muggings. Incidents of express kidnappings from unlicensed taxis for cash have been reported. Pickpockets and thieves operate on public transport and around bus terminals. Many criminals have weapons, and most injuries and deaths have resulted when victims have resisted. Street crime is common in Managua and in other large towns across the country. Crime reporting to the authorities is low but foreign visitors experience a significant number of crimes with robbery accounting for 75% of violent crime. Caution should also be given regarding natural disaster – especially due to increasing volcanic activity. Seasonal torrential rains and poor minor roads present a safety challenge with ground transportation. There is a limited diplomatic and consular presence from several western countries.